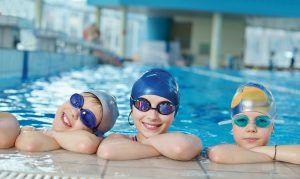 Participating in organised sports and joining after school clubs can help to improve primary school children’s academic performance and social skills, according to findings from Child of the New Century. Researchers from NatCen Social Research, Newcastle University and ASK Research analysed information on more than 6,400 members of Child of the New Century who were born in England. Those of you who took part in organised sports and physical activities at the ages of 5, 7 and 11 were almost one and a half times more likely to do better than expected on national maths assessments at age 11. Interestingly, sports didn’t have the same effect on science and English scores. The researchers also discovered that children who participated in organised sports and physical activities at any time during primary school had better social and emotional skills – and were better behaved – than those who did not take part. Among children from less well-off homes, those who attended after school clubs also fared better than their peers who did not take part in such groups. They achieved, on average, 2-points higher on assessments in English, maths and science at the end of primary school. They too had better social and emotional skills and behaviour then children from similar backgrounds who had never joined an after school club. The benefits of out of school activities remained even when taking into account other factors such as gender, ethnicity, family type, parents’ income and occupations. Dr Emily Tanner, lead researcher, said: “The recent Budget announcement to direct money raised by the tax on sugary drinks towards funding sport and after school activities suggests policymakers are recognising the wide-ranging benefits of these activities.